Capital Brands, manufacturer of the high-speed blender the NutriBullet, is facing a lawsuit that alleges they failed to warn consumers that the appliance has the potential to explode without warning. The suit claims these explosions can cause severe injuries to NutriBullet users, including skin and facial injuries, severe burns, and even broken bones. The class action lawsuit accuses Capital Brand of violating consumer protection and product warranty laws. According to the court documents, the injured plaintiff suffered burns on her chest and arms, forcing her to miss work and pay nearly $6,000 in medical bills out-of-pocket. She also seeks an order to prevent Capital from continuing to sell the NutriBullet, and require them to warn current owners of the blender of its possible defects that may lead to similar injuries. How safe is the NutriBullet blender? A similar case against Capital Brands was filed by a North Carolina woman in 2017, but is still pending in federal court. 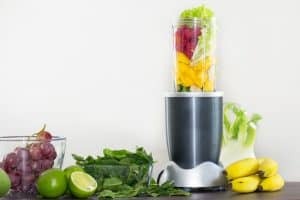 Although this particular case is a class action lawsuit, it is by no means the only NutriBullet lawsuit—there are currently dozens of cases regarding injuries from the blender. Because of the way the NutriBullet is constructed and functions, its canister builds pressure. However, this pressure can become so high that the canister can separate from the other components—its parts will then shatter and fly through the air, putting everyone at close range at risk for injury like cuts and burns. Explosions can still occur even if a consumer is making a cold smoothie, as the heat from the blender’s high-speed blades can cause even cold ingredients to become dangerously hot. The suit claims that even following normal use, the pressure buildup can make the blade assembly detach and send it flying after the lid is removed. In spite of the many defective product lawsuits filed against them, Capital Brands hasn’t issued either a recall or even a warning. They state that the blender can be used safely for a maximum of 60 seconds, after which the machine’s built-in safety mechanism kicks in and cuts off power. Because of this built-in safety feature, Capital plans to contest all lawsuit claims that the NutriBullet is unsafe when used properly. However, court documents allege that the NutriBullet has had issues all the way back to 2007, when consumers began complaining to the Consumer Product Safety Commission about it exploding unexpectedly. How many more injuries will occur before Capital Brand acts to ensure their products are safe? If you’ve been injured by a NutriBullet blender or other defective product, talk to the lawyers at Taylor Ring today. We can help you seek compensation for your injuries and, more, ensure the negligent company is help responsible so no more consumers are hurt. Talk to our Los Angeles attorneys today at 310.776.6390 or complete our contact form to schedule a consultation.